This Chinese medicine treatment has become very popular in America, most people having heard of it, or having tried it to help with their pain. 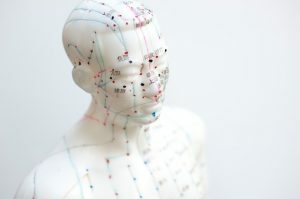 The practitioner inserts very thin needles into different areas of the body that corresponds to the “chi” or energy of the patient. This has been an effective way to help with patients dealing with chronic pain, headaches, and arthritis. Massage therapy can help with muscle related pain. It can be an effective way to manage pain because not only do your muscles feel better but the massage releases endorphins which reduces stress and promotes relaxation. Exercise can help keep you pain free because it increases flexibility and builds strength. To see benefits you do not necessarily have to do high intensity exercises, low impact exercises like yoga and walking are just as effective. Have you ever considered that your diet could be contributing to pain? Many foods can create an inflammatory response in the body. On the other hand, there are many foods that can help to reduce inflammation and provide your body with necessary vitamins. Eating a diet high in omega-3 fats and vitamin D can help with chronic pain. Cognitive behavioral therapy can help to reduce pain for people who try this therapy. It can help you think positively and improve the brain’s responses to pain. Finding a support group who can help provide tips and perspective is another great idea. Finding a mix of alternative and conventional medicine is the best way to help heal and start feeling better. Visit our website at lowbackpain.com for more information.